There are many questions floating around the 2020 Census. Will the citizenship question appear? Will the shift to a digital based questionnaire result in undercounting? Will the Census Bureau be fully prepared by 2020? 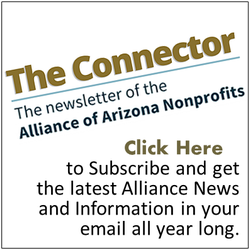 Nonprofits may be asking themselves "Will my organization participate in Census work? Can we raise money to support our efforts?" Nonprofit VOTE wants to help nonprofit organizations across the country get to YES on both of those questions. Join us on February 14 for the first of a two-part series on fundraising and planning for Census 2020. On this webinar we will hear from featured speaker Debbie McKeon from the Council of Michigan Foundations about how to develop relationships with funders, prepare materials, and make an ask to support your Census 2020 work. We'll also have a nonprofit professional who was successful at securing Census funding in 2010 sharing their tips and insights. Save the date for Part 2: Census 2020: Planning for your Get Out the Count Work at 2pm ET on February 21. Debbie is executive VP and COO for the Council of Michigan Foundations, where she leads the team in design, coordination and implementation of the organization's strategic vision and framework, suite of services, special initiatives and embedded diversity, equity, and inclusion efforts. Current leadership initiatives include Census 2020, Truth, Racial Healing & Transformation, Great Lakes One Water Partnership, Launch Michigan (education) and the Impact Investing HUB, Debbie brings her previous experience supporting collective impact models, especially utilizing network and systems change practices. to CMF's leadership initiatives.